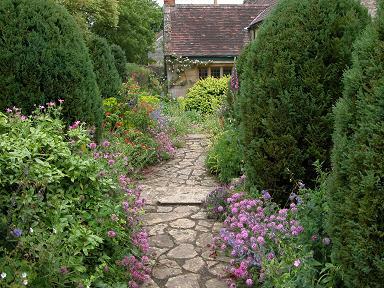 Margery Fish created this garden at East Lambrook Manor which has become one of the best known in England. The garden at East Lambrook Manor surrounds a charming small Manor House in the beautiful Somerset countryside. 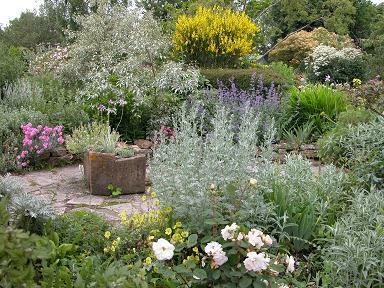 It is the quintessential English cottage garden with hardly a straight line anywhere and, although not large at just under two acres, it has a feeling of covering more ground than it does. The Grade 1 listed garden has been restored by new owners and is full of rare and unusual plants. Very strong on herbaceous it also contains one of the best collection of hardy geraniums in the country. There is an excellent nursery selling many unusual plants at very reasonable prices. Good in all seasons with snowdrops in February. 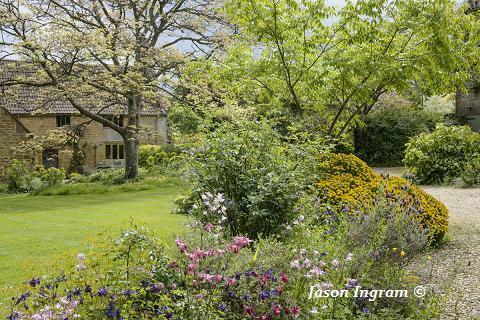 The garden is well worth a visit, especially in May and June when it is at its most sublime. Read also about Margery Fish who created the garden at East Lambrook Manor. She was also a garden writer and wrote a number of excellent gardening books. A big thank you to Jason Ingram for his delightful images. 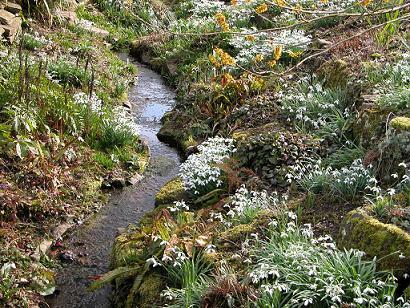 2019 East Lambrook Manor Gardens - Normally open from February to October including snowdrops season. Check website for details. Art gallery, refreshments, plant sales. Phone re disabled access.